New York - A group of at least six wealthy Republican donors is urging the billionaire Koch brothers to step off the sidelines of the U.S. presidential election to back Donald Trump, arguing they will want influence with the New York businessman they have harshly criticized if he wins the White House in November. 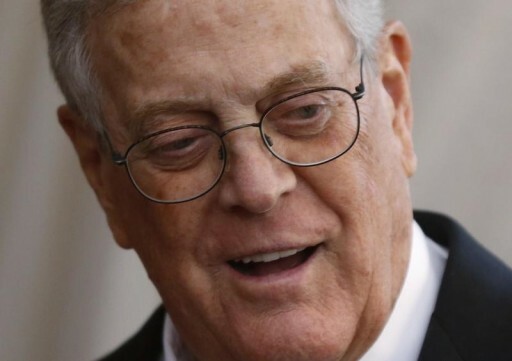 The financiers, prominent members of the sprawling 700-member Koch donor network, have been making their case in emails and phone calls to Charles and David Koch ahead of their bi-annual donor seminar, which begins Saturday in Colorado, according to four donors involved in the loosely-coordinated effort and advisors representing two others. An endorsement from the Kochs would be a radical departure: the industrialist brothers have railed against Trump’s “monstrous” rhetoric and protectionist policies on immigration and trade. They have said they will not get involved in the presidential election and will instead focus on Senate races. All the while, Trump has blasted the donor class and vowed not to become a “puppet” of outside interests as he tries to win the Nov. 8 election. Trump’s vice presidential running mate, Indiana Governor Mike Pence, has long been a darling of the Koch network, and Trump’s fledgling campaign finance operation could use a cash injection as it faces a $1 billion general election battle against Democratic rival Hillary Clinton. “I don’t think it’s impossible, or beyond the realm of possibility, that at some point the Kochs are going to get involved,” said Doug Deason, a member of the Koch network. The Trump campaign did not respond to a request for comment. James Davis, a spokesman for the Koch’s political operation, Freedom Partners, declined comment. The billionaire donors eyeing Trump stress they believe it is urgent for the Koch brothers’ conservative thinking to start to influence him before the election while he is still fine tuning policy and considering possible Cabinet picks. At their donor summit in January in Palm Springs, California, most donors seemed vehemently opposed to Trump among the vast field of other Republican options. But now that Trump has won the nomination, vanquishing 16 opponents in the primaries, some see little option but to back him. Even the far right Coke brothers don't trust Trump. They haven't given him a cent yet and may not tomorrow. For all their well documented fascism, the Cokes support the arts, environmental causes and women's rights. They don't need Trump. Trump is a billionaire himself. Why does he need money from other billionaires? Everybody wants to be Trump, but Trump wants to be Putin.